The weather was rainy and steamy, so I had to pick a short hike that was not too intense. Although for most of the hike it was not raining, it did rain steadily for some time and I got considerably wet. 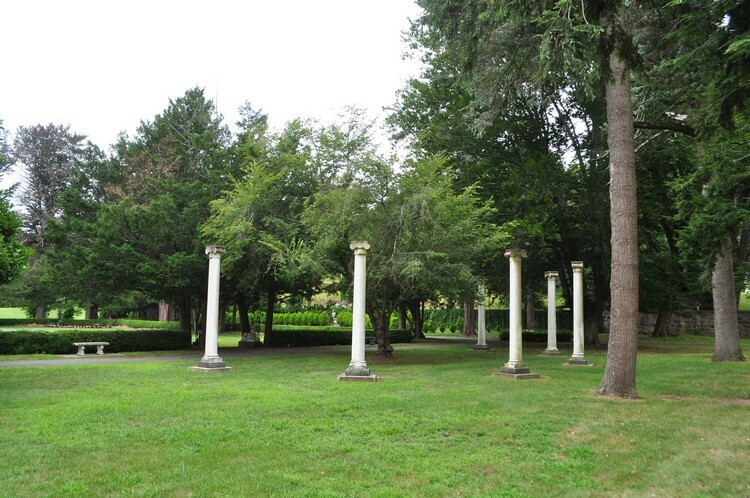 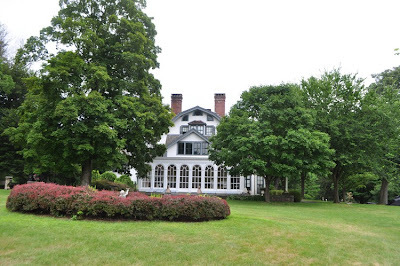 I parked in the Ringwood Manor Parking lot, and walked alongside the Ringwood Manor Mansion next to the marble pillars and small pond. 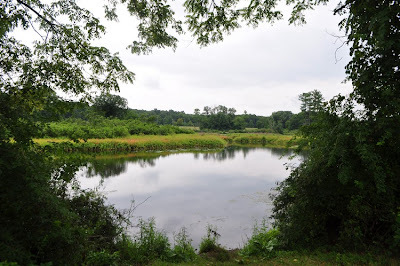 I continued through the grassy area alongside the south part of the Ringwood Mill Pond, where I picked up the Manor Trail. 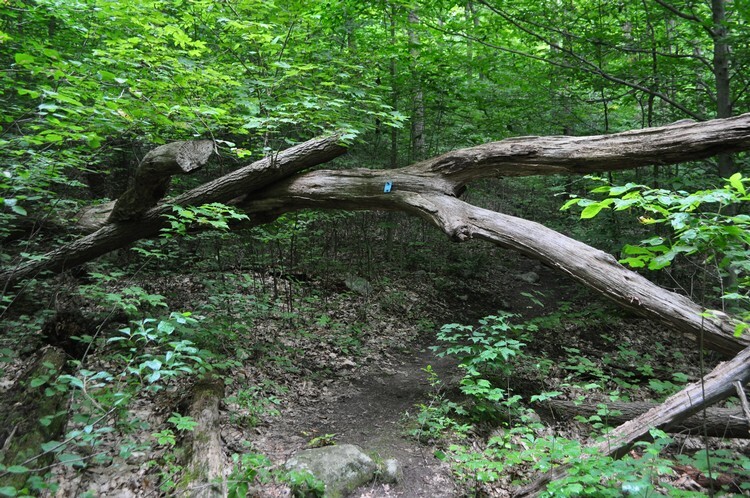 This is a loop trail that starts and ends at the same point. 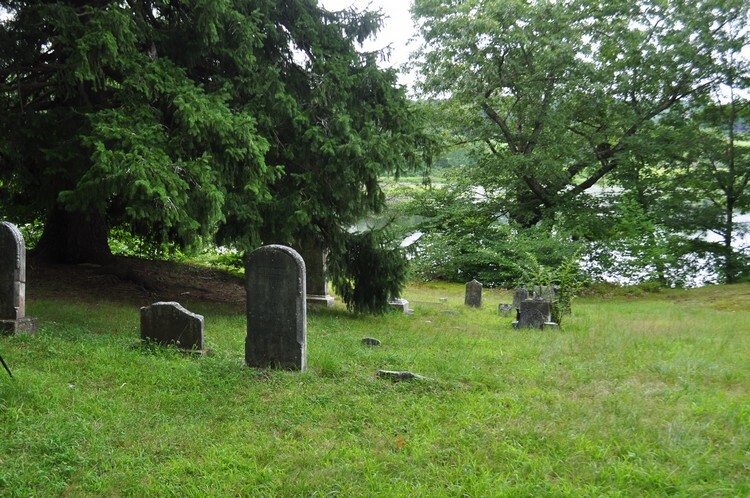 It is a rather uninteresting trail without any viewpoints or points of interest, aside from an old historical cemetery along the trail. After completing the loop and getting very wet, I explored the property a bit more and walked through some of the gardens and groves before heading back to my car in the main parking lot. 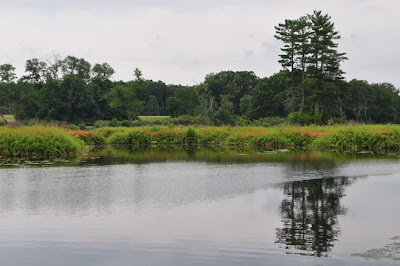 This was a very hot and steamy day, and the first day of the week-long heatwave where the temperature was in the mid-90's. 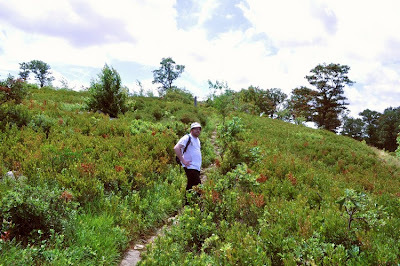 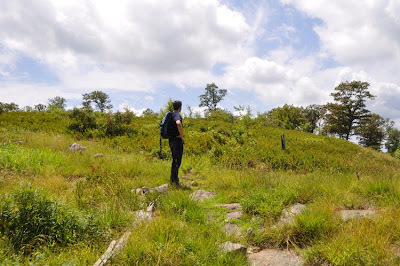 This trail is mostly wooded and covered, so we remained cool most of the time, except at the summit, which is exposed. 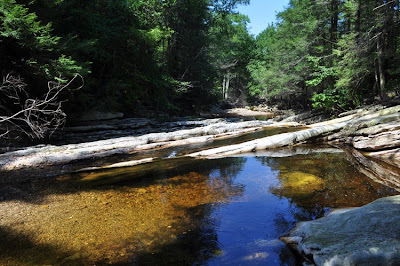 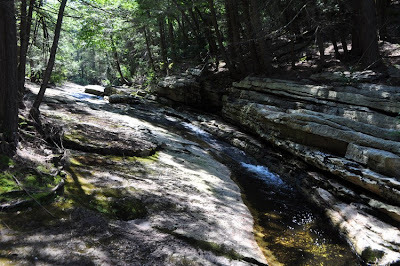 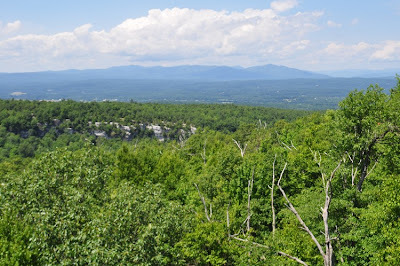 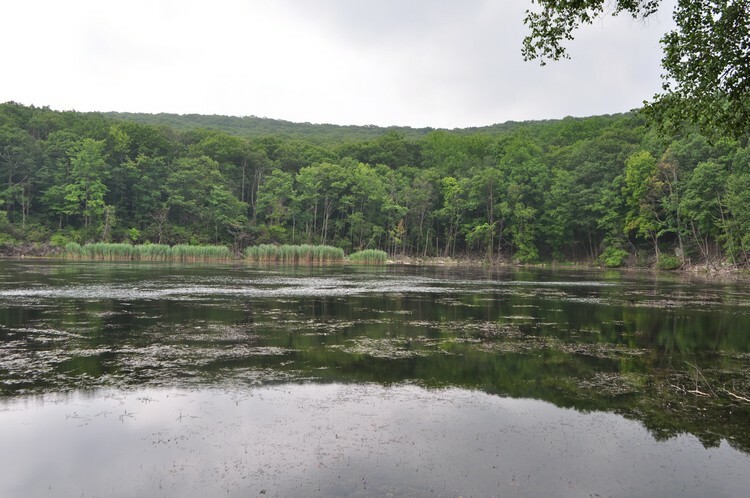 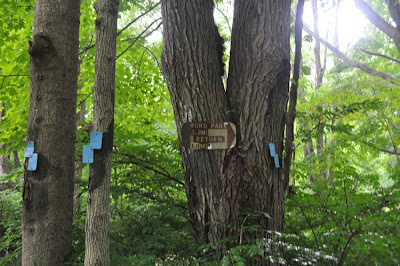 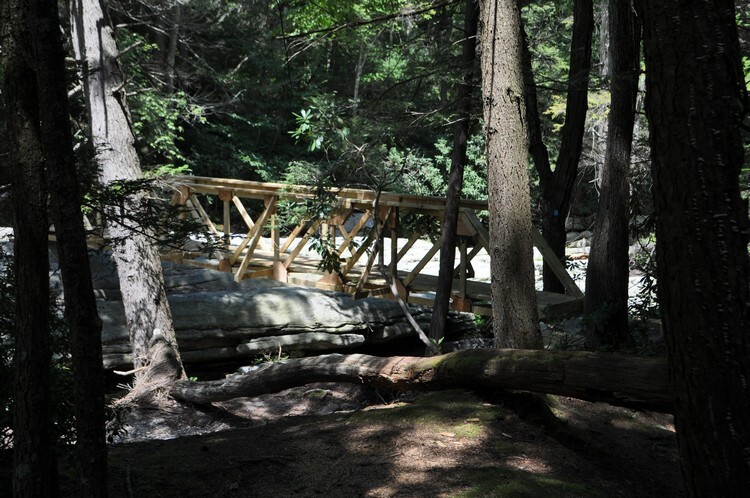 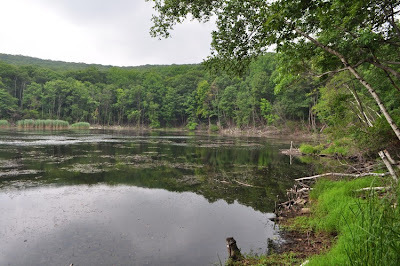 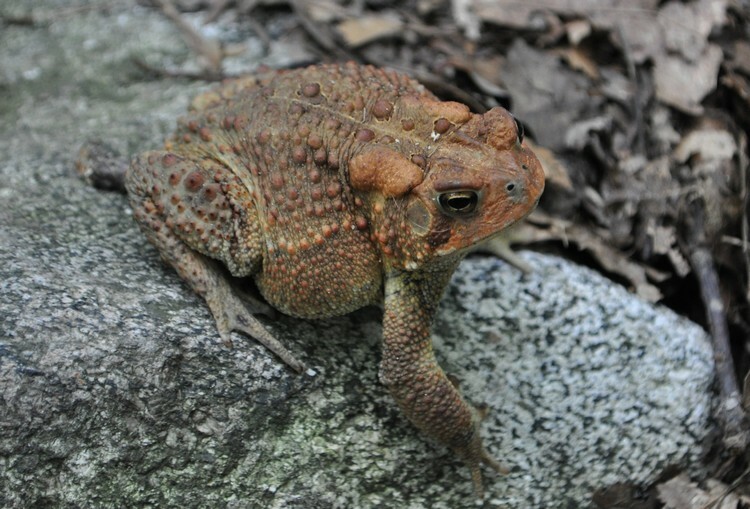 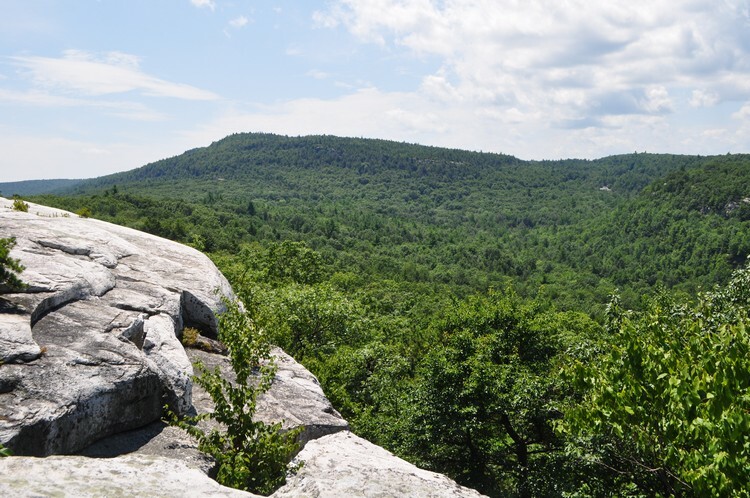 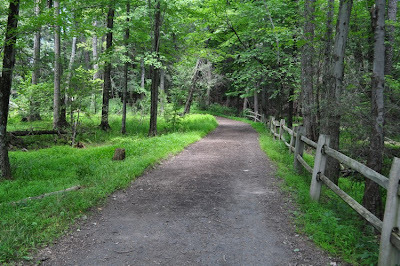 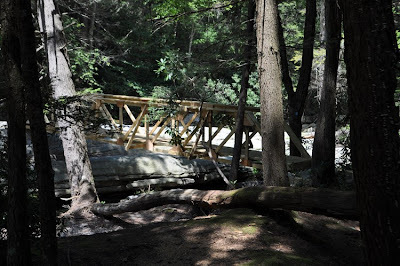 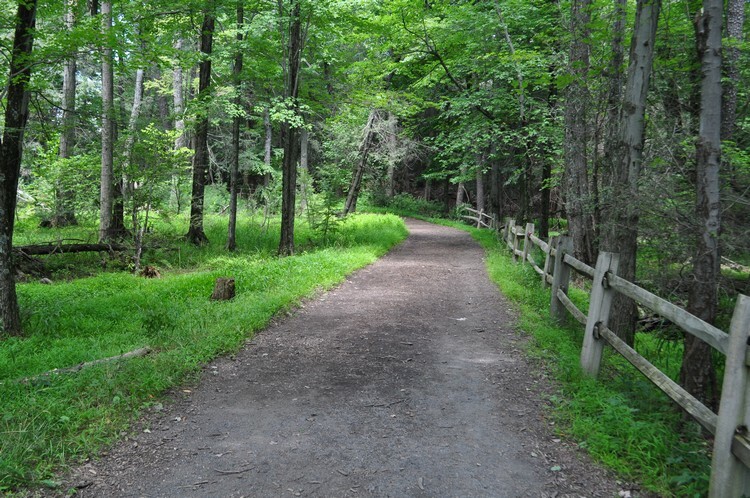 We parked in the Reeves Meadow area, and headed up the Pine Meadow Trail, to the Stony Brook Trail, to the Kakiat trail, to the HTS Trail, where we crossed the brook where the bridge was out to the Pine Meadow Trail again. 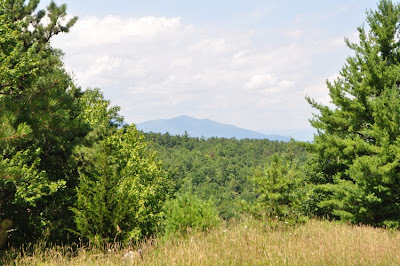 From the Pine Meadow we took the 7 Hills Trail up the mountain to the view at the top of the mountain. I always called this area "North Hill", but really this is a bigger mountain that deserves a better name. 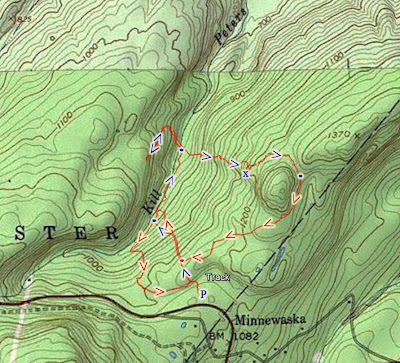 I saw now on the new editions of the trail conference maps that they named this summit where the view is "Chipmunk Mountain". Although I think this name lacks originality, I will use this name in the future for this mountain, for the lack of a better name. 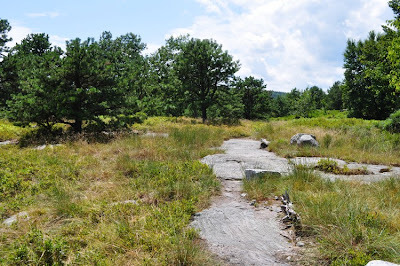 At this point we took the HTS Trail down back toward the brook, and then took the Pine Meadow Trail all the way back. 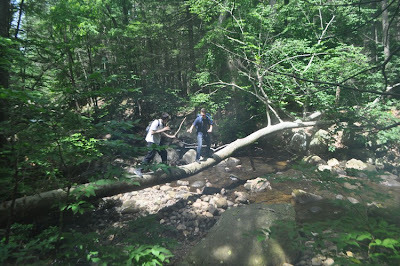 Shimmy & Morty on a fallen tree over the Stony Brook. 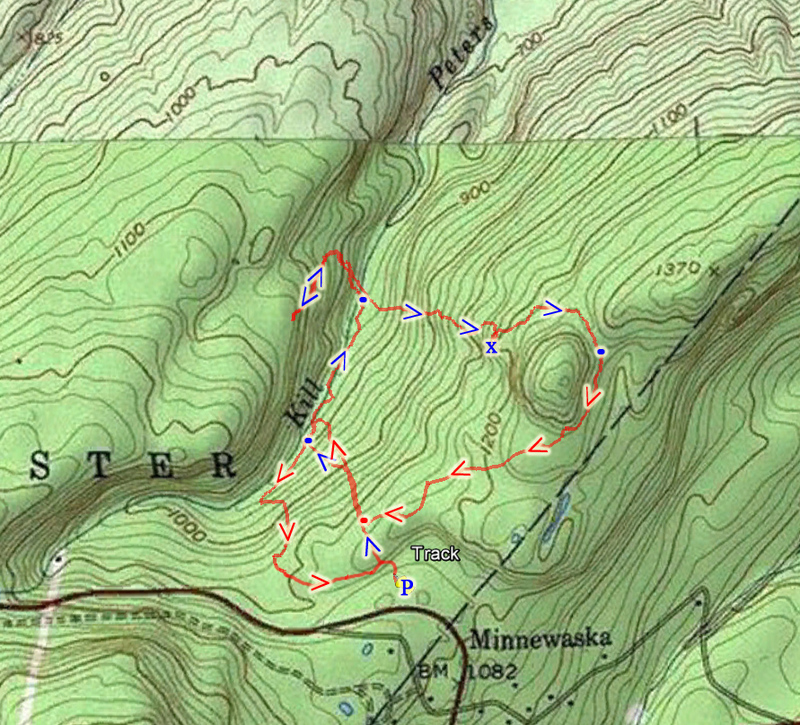 This was a quick hike which we did during the week. 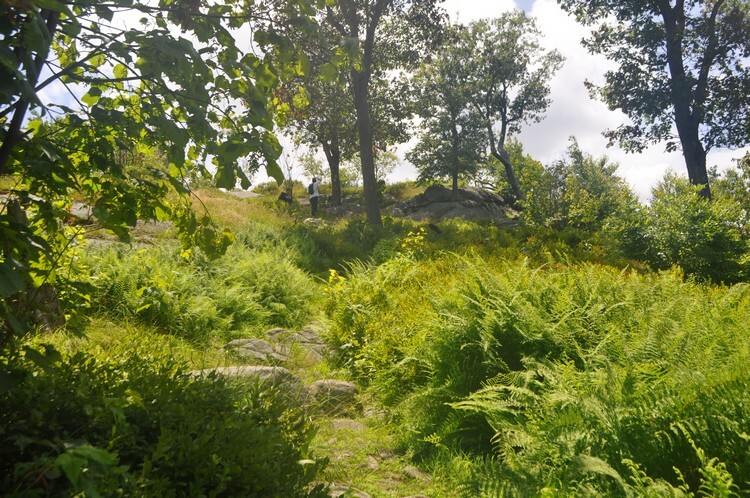 We parked at the Suffern-Bear Mountain Trailhead on County Route 106, right after the Harriman State Park sign, and took the trail up the Irish Potato. 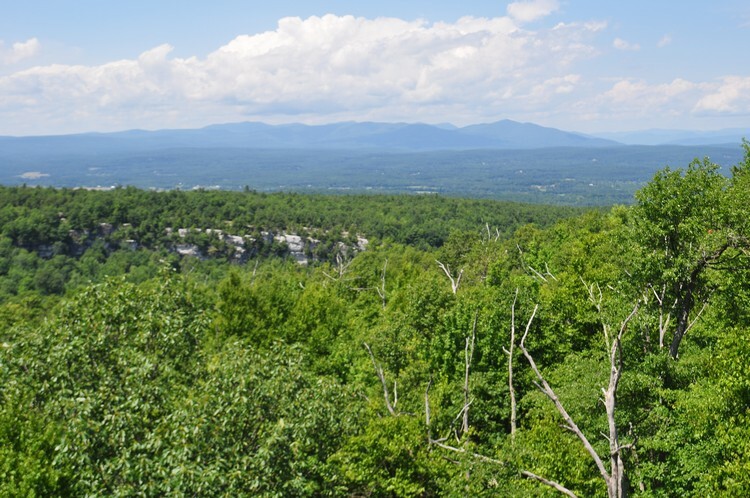 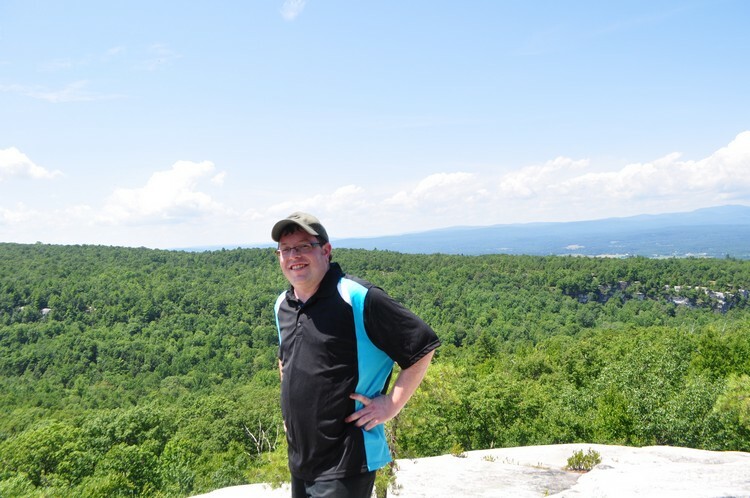 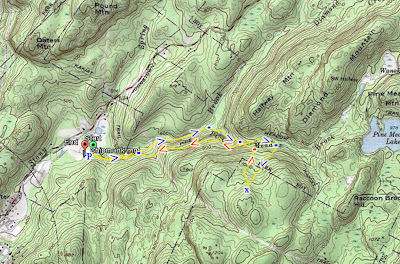 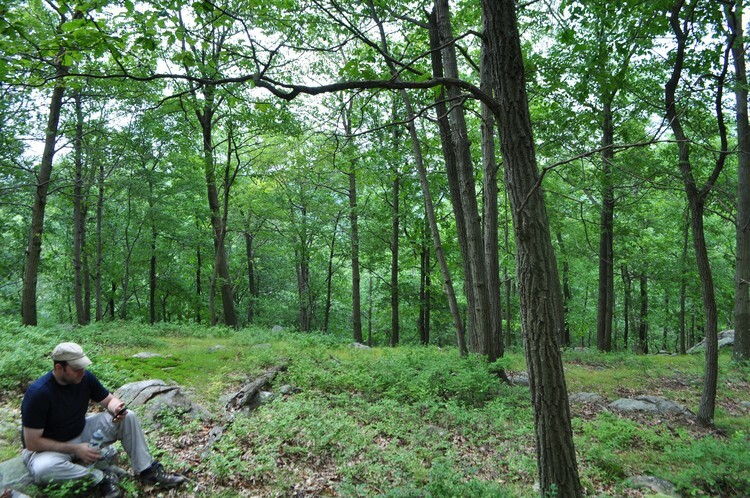 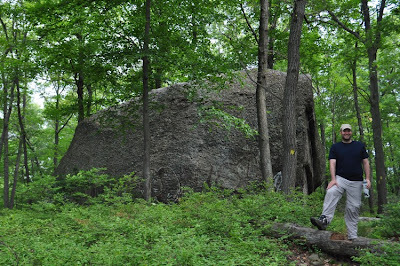 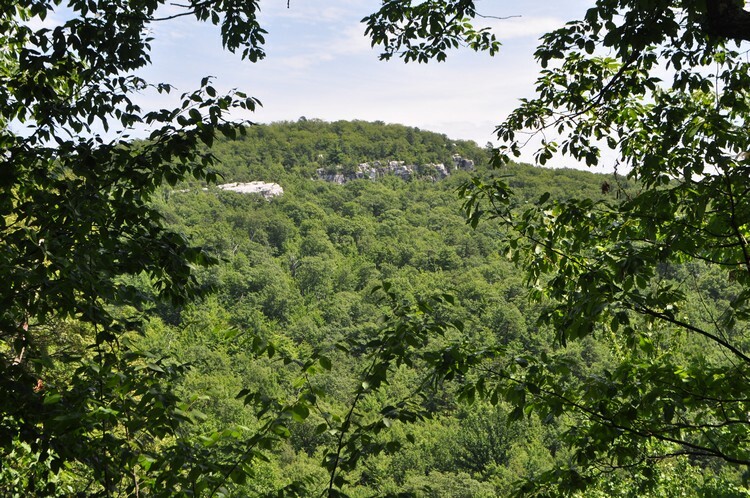 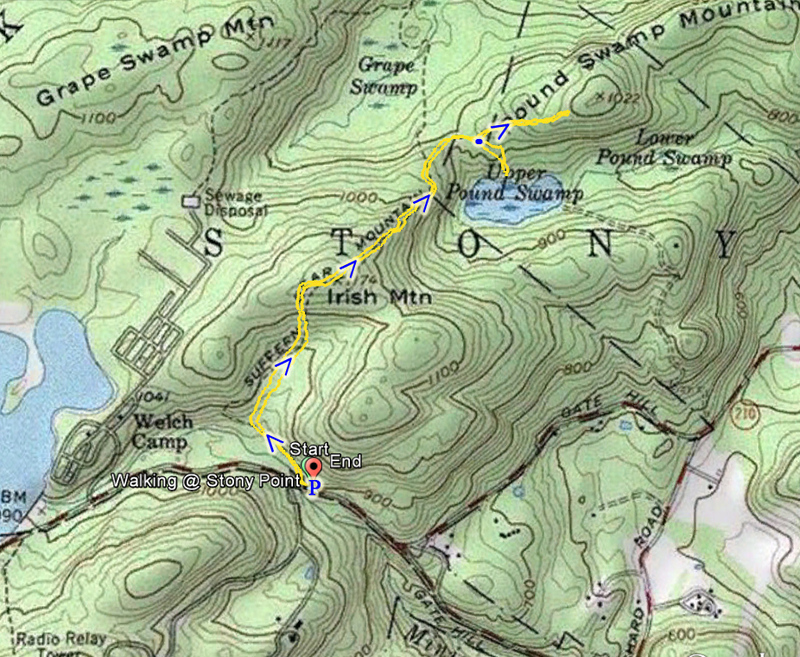 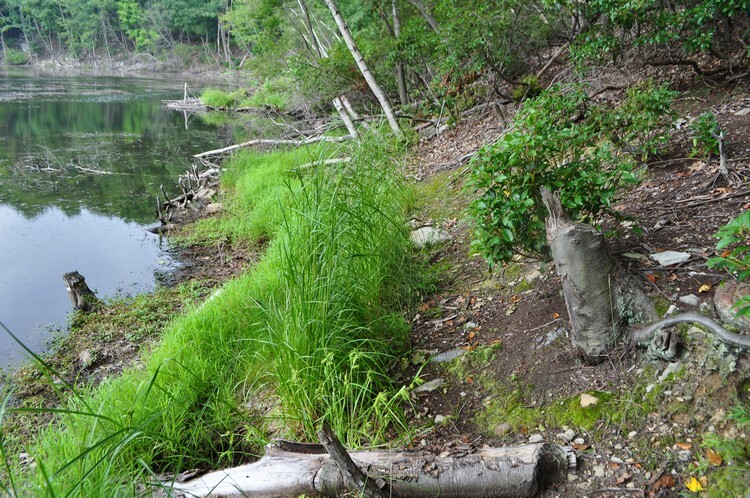 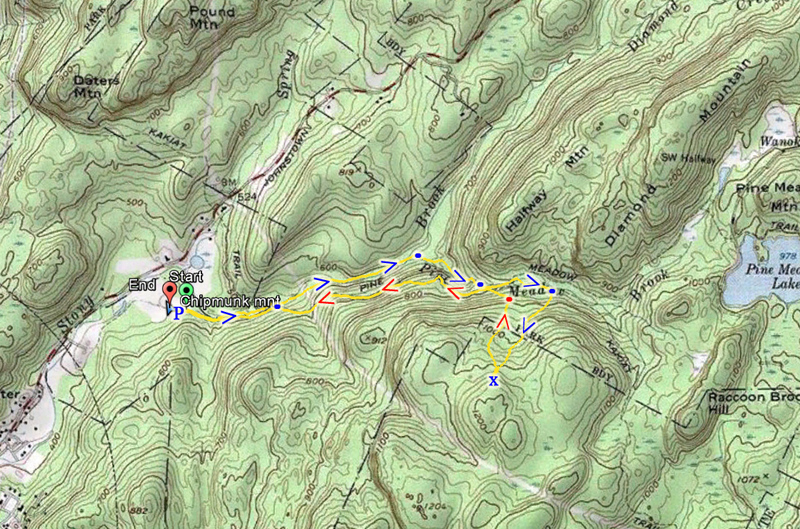 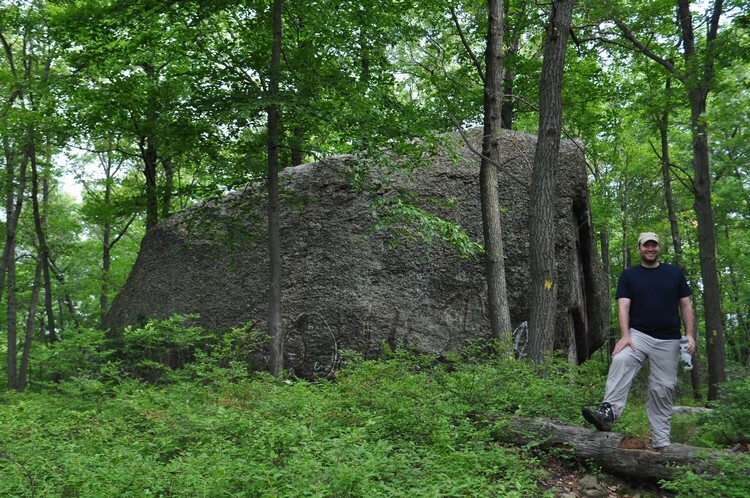 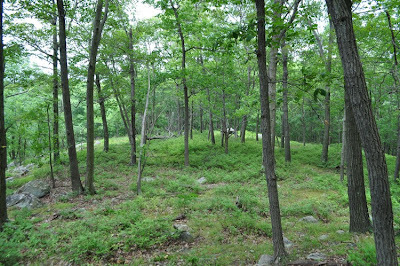 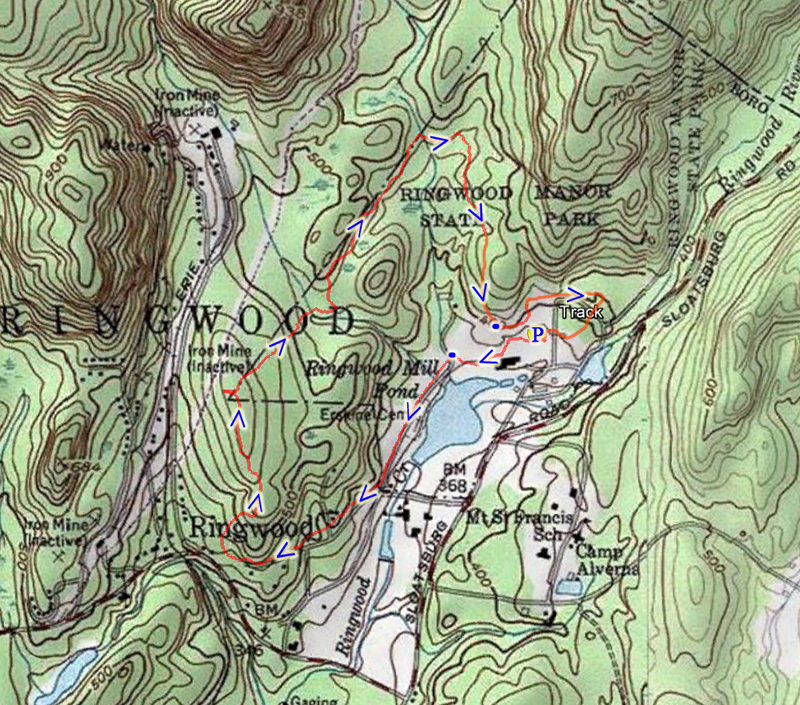 We continued along the Suffern-Bear Mountain Trail down Irish Mountain and then up again to Pound Swamp Mountain. 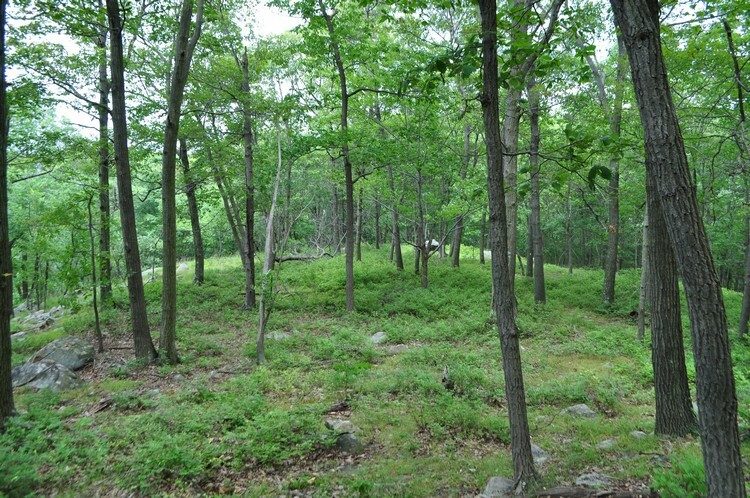 There is no view here at the summit - its full of trees and shrubbery all around. We turned around and took a detour to the Pound Swamp, and then cut back to the Suffern-Bear Mountain Trail and took the same route back. 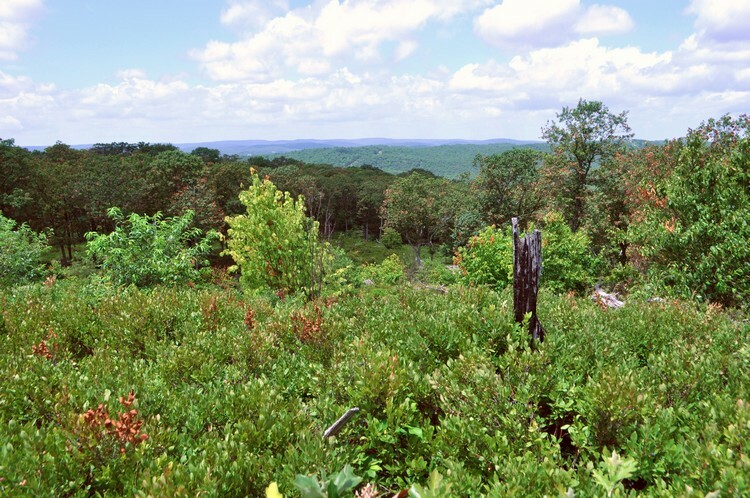 Looking Down from Near the Summit of Pound Swamp Mountain. 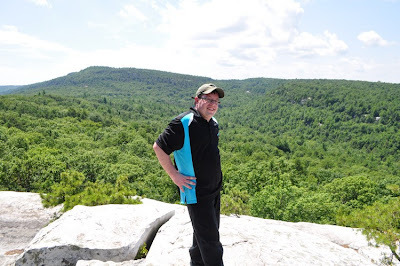 Not Much of a View Here! 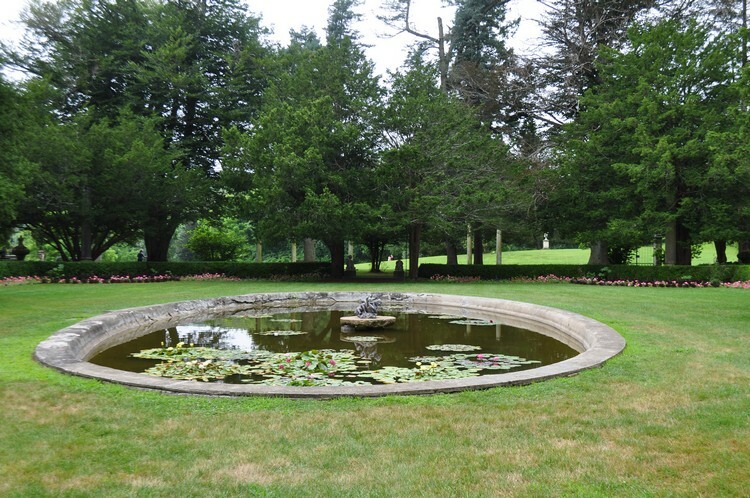 A beautiful, serene, and natural pond.